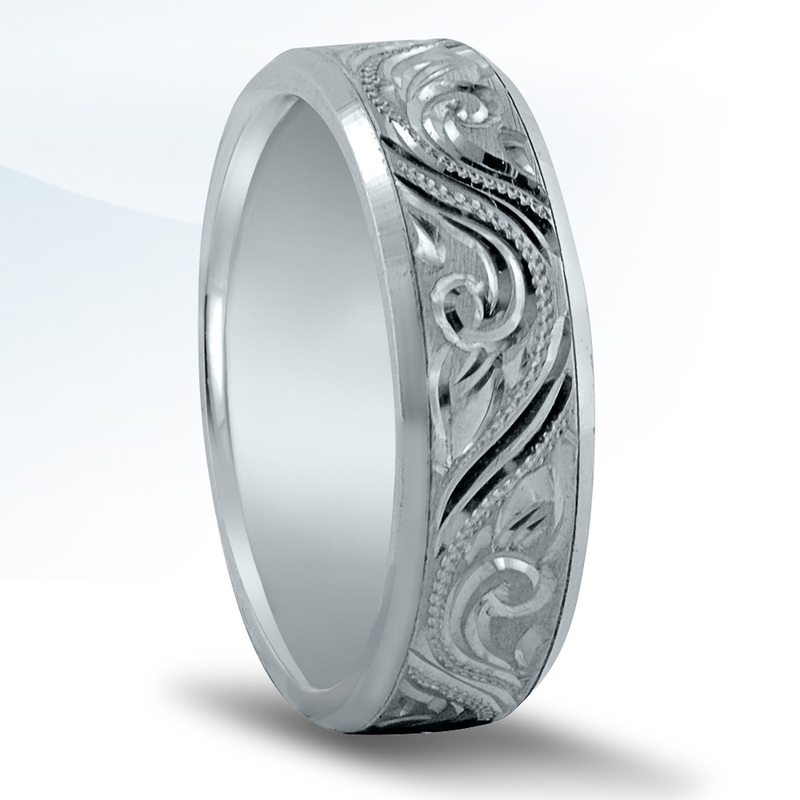 Novell engraved wedding band style N16607 is 7mm wide, but can be created in a variety of widths and thicknesses. Can also be made in platinum, palladium, gold and Argentium Silver. Would you like a price? Contact an authorized retailer. All Novell wedding bands are handcrafted in America. Typical orders take ten working days. Have a question? Ask us. Interested in having your ring custom made? Learn more about Custom Shop.